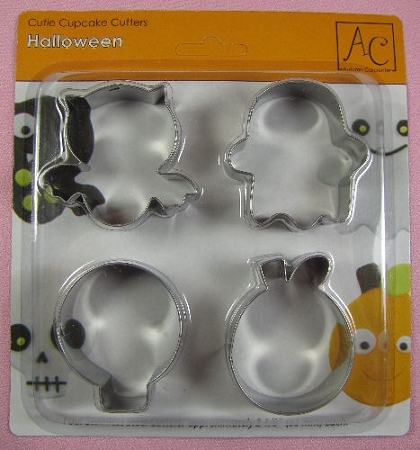 Halloween Cupcake Cutters Set By Autumn Carpenter. 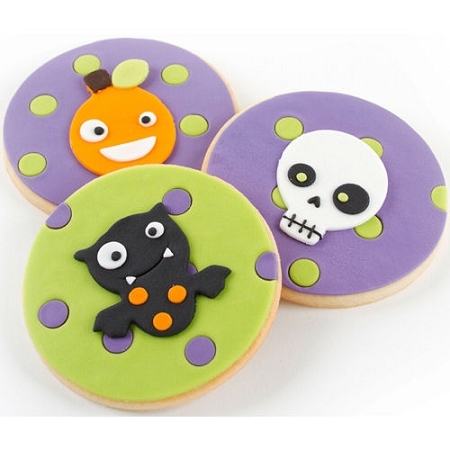 This cutter set includes 4 different Halloween themed cutters, which include a bat, ghost, skull, and pumpkin. The bat measures 2" x 2 1/8", the ghost measures 1 7/8" x 1 7/8", the skull measures 2" x 1 5/8", and the pumpkin measures 2 1/8" x 1 5/8".